Wow. I am actually speechless at how incredible this building is. It just sits at the end of Broad Street, a silent icon which countless people travel by each day, including myself. Countless times I've wondered what lies on the other side of the hefty metal door, so when I got the message through on the bat phone I became so excited I transformed in to a 6 year old on Christmas Eve. 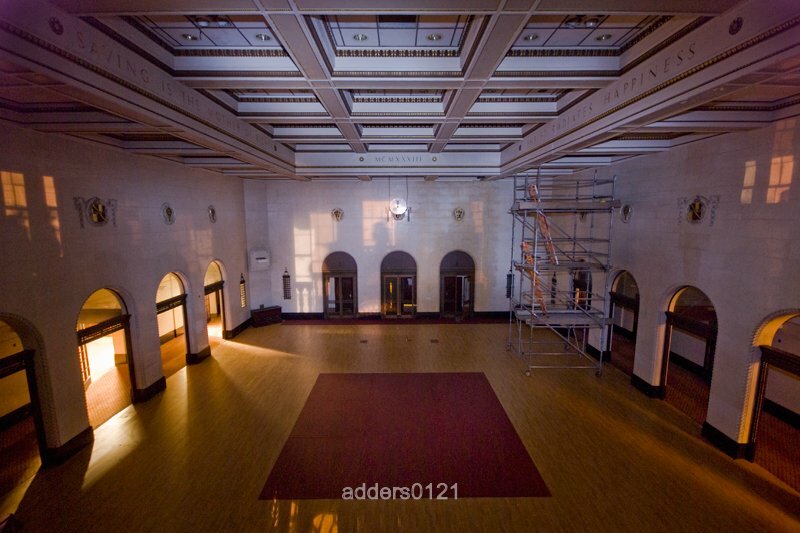 Opening on 29th September 1916 under the watchful eye of then Lord Mayor Neville Chamberlain, the Birmingham Corporations Savings Bank was designed to help boost finances for the war effort, following appeals from London to help fund the military. 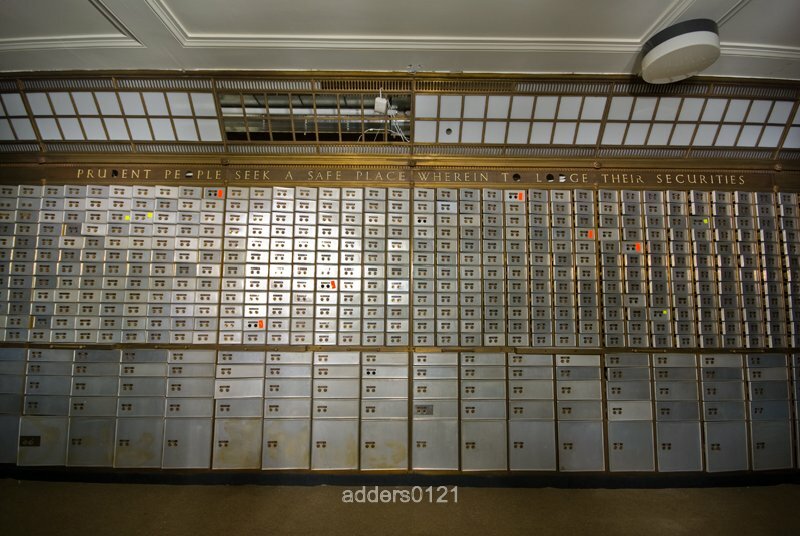 The outline was that workers could deposit a portion of their savings in the Municipal Bank to act as a buffer if the economy slid into depression after the war. 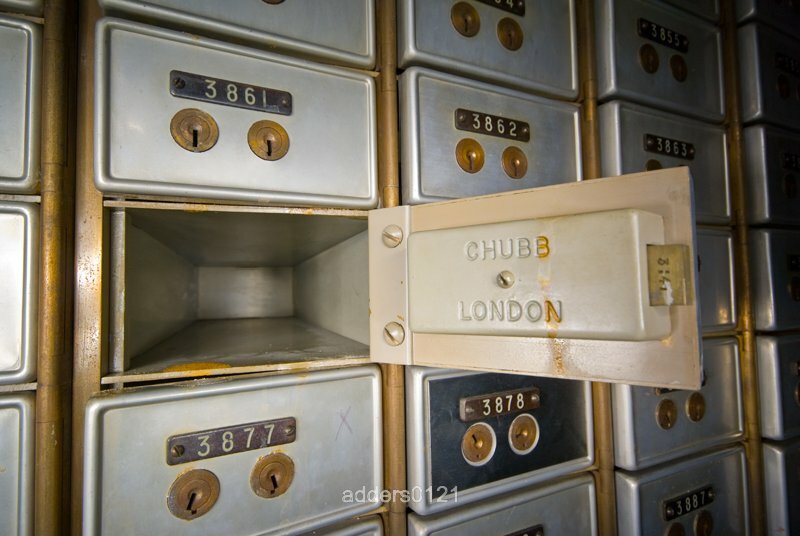 Chamberlain consulted with trade unions, who were enthusiastic about the chance for workers to acquire the habit of saving, depositing directly from their wages each month. 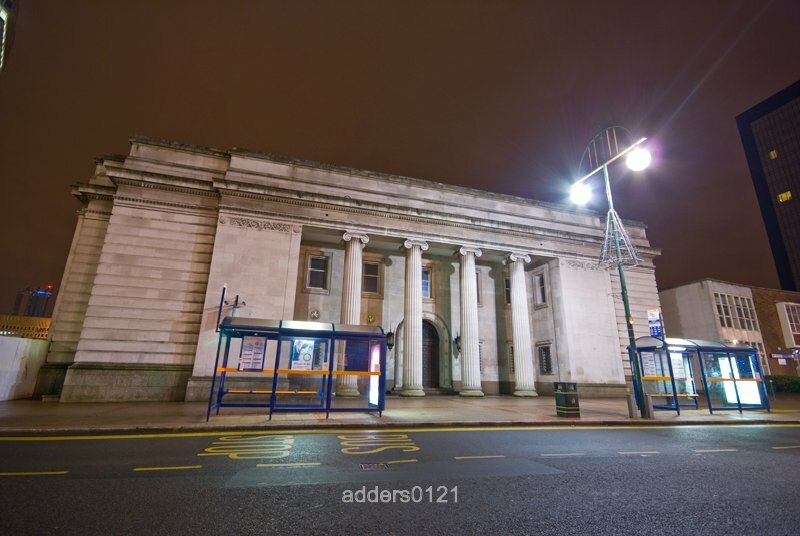 Despite opposition from the banks and their treasury, the Bank opened up as Birmingham Municipal Bank, and is the only one to ever have existed in Great Britain. 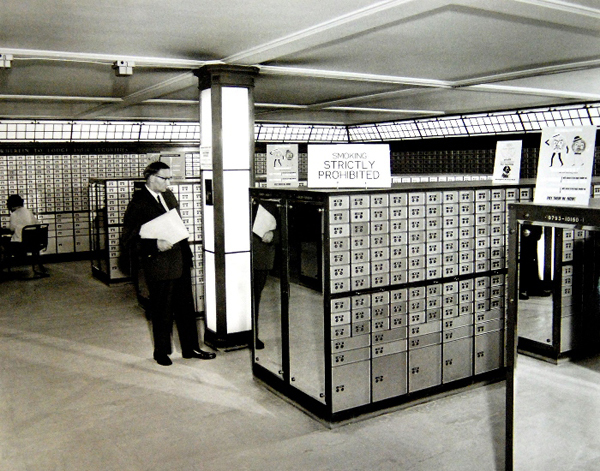 Chamberlain wrote this about the Bank in 1927 describing the benefits of the bank. He went on to be Prime Minister from 1937 - 1940. 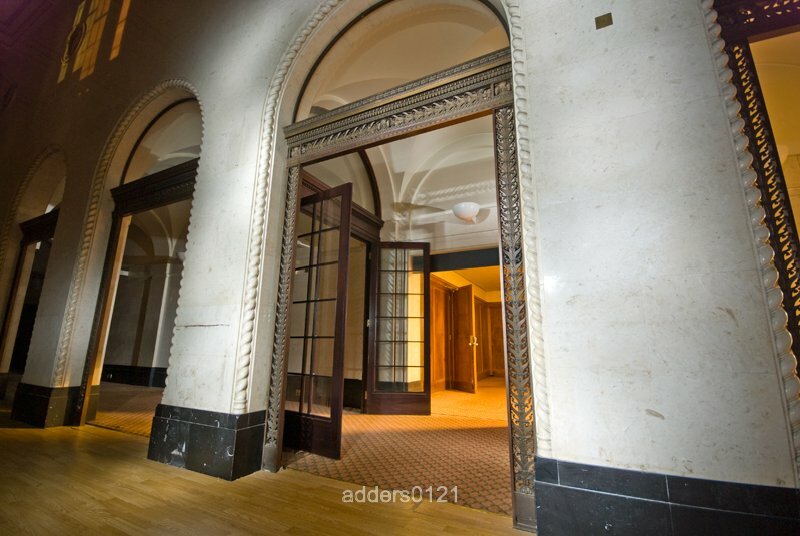 This is the entrance from the inside. 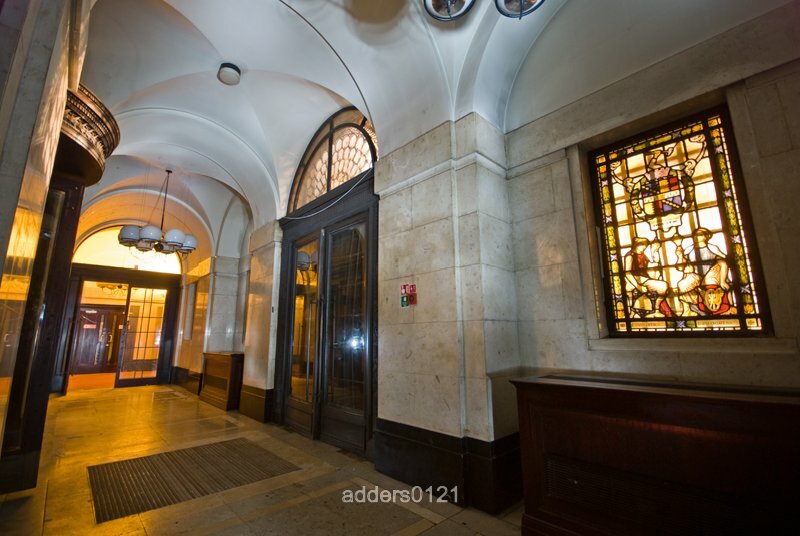 Note the revolving door on your left, stained glass windows on your right, and the light fixings above your head. In love yet? 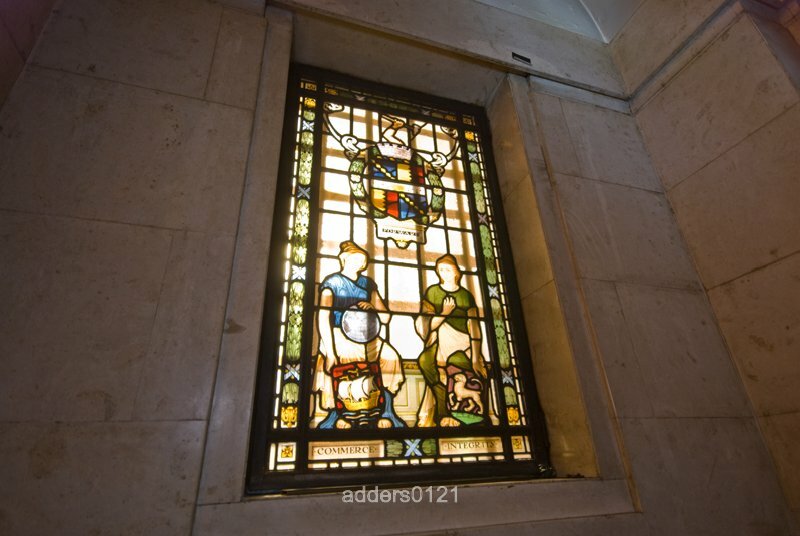 In the main entrance Corridor there are panels in antique stained glass depicting Labour, Perserverance, Commerce, Integrity, Industry, Progress, Banking & Finance. 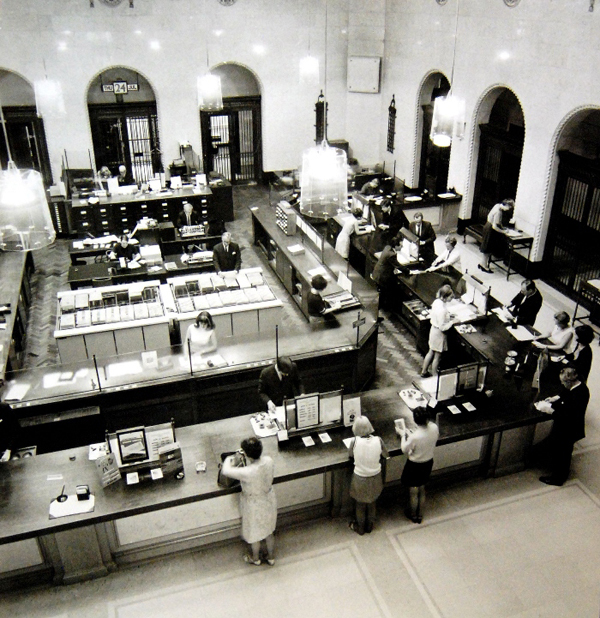 This photo from 1969 shows the Banking Hall full swing. The central enclosed area was called "The Pen". 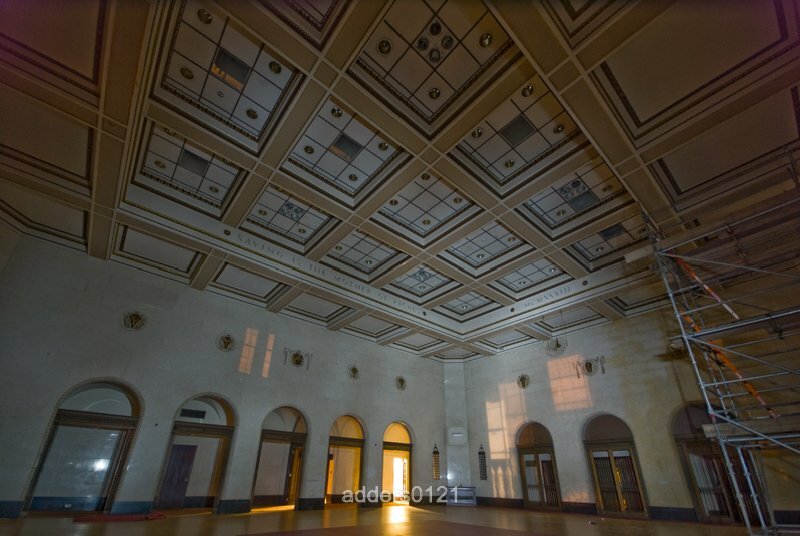 The shields on the walls of the Banking Hall depict the Egyptian signs for gold & silver; Symbols of Plenty or Properity, and Trade or Commerce. 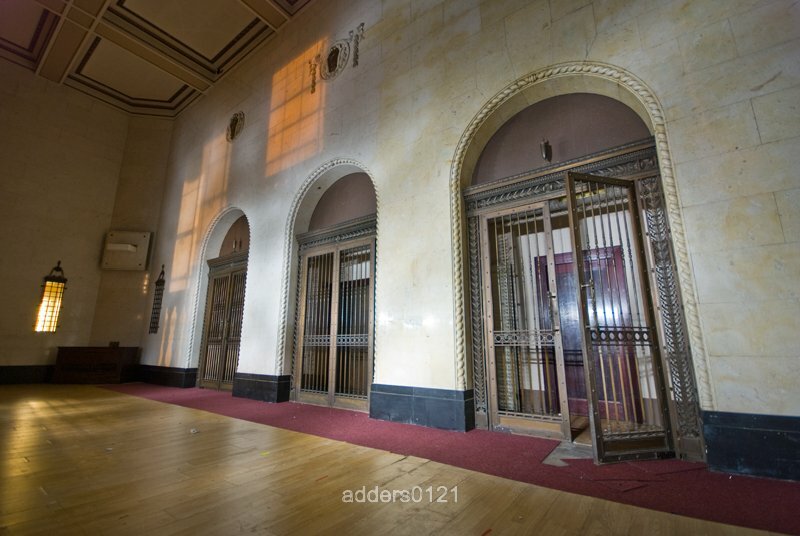 The attention to detail is amazingly intricate, from the doorway frames to the gates which seperate the corridors around the Banking Hall. 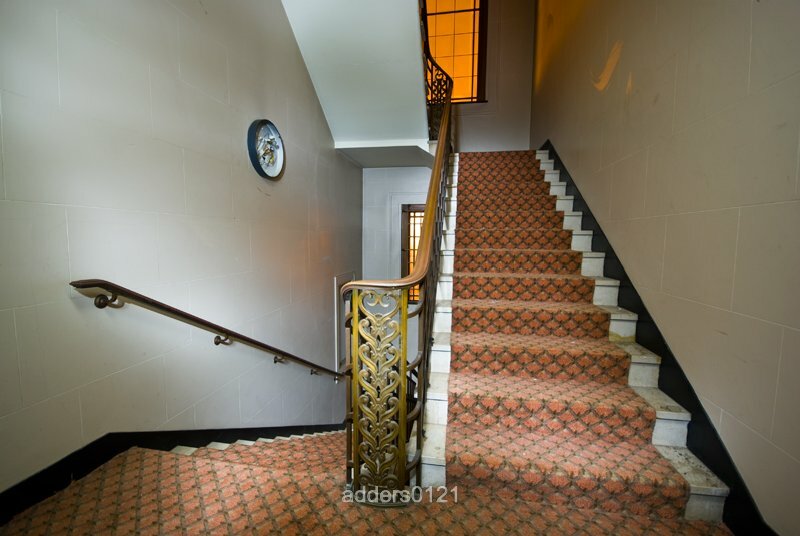 The fancy metalwork follows you around the building, complemented by this old school carpet. 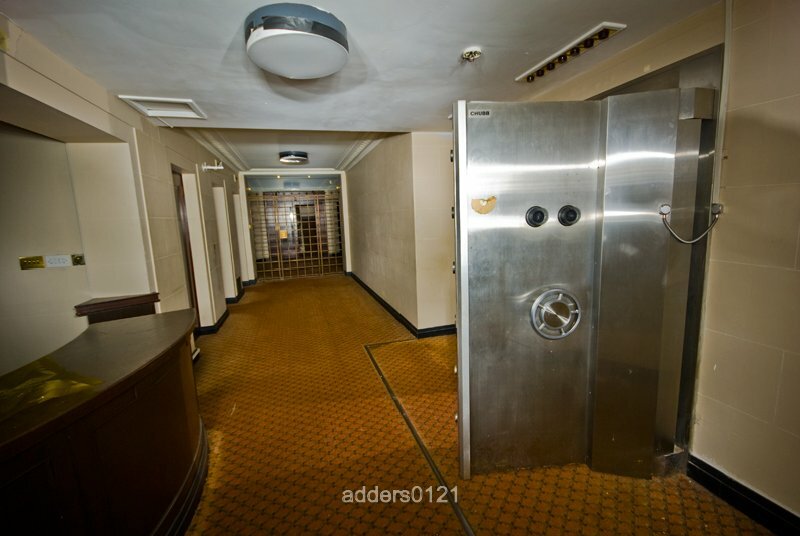 The lower level brings you to the vaults. This floor is epic, and I don't mean it in the loose sense, either. 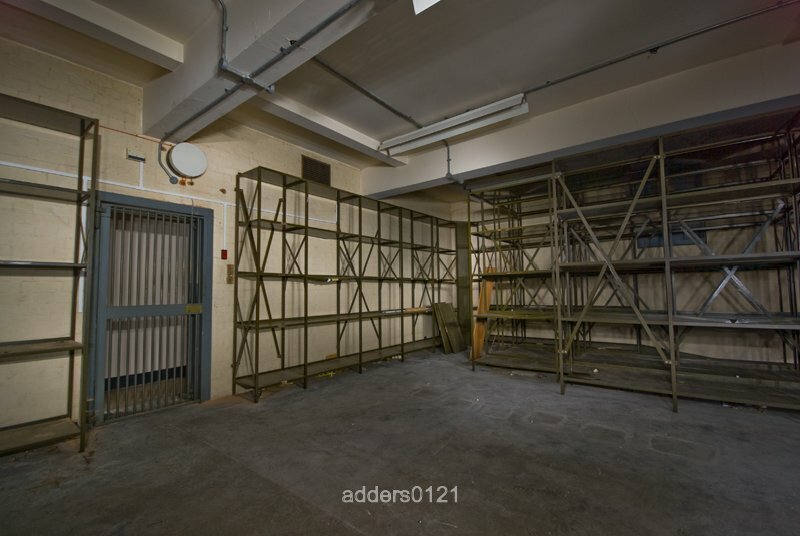 The central safety deposit vault is surrounded in smaller bulk storage vaults on the east and west sides, with some offices by the North entrance as well as the reception desk. 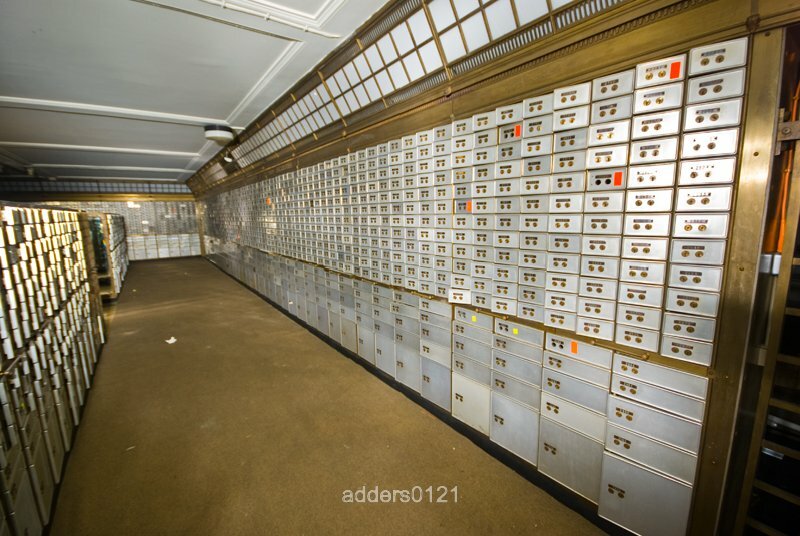 The second your torchlight enters the room you're presented with rows and rows of illuminated safety deposit boxes. 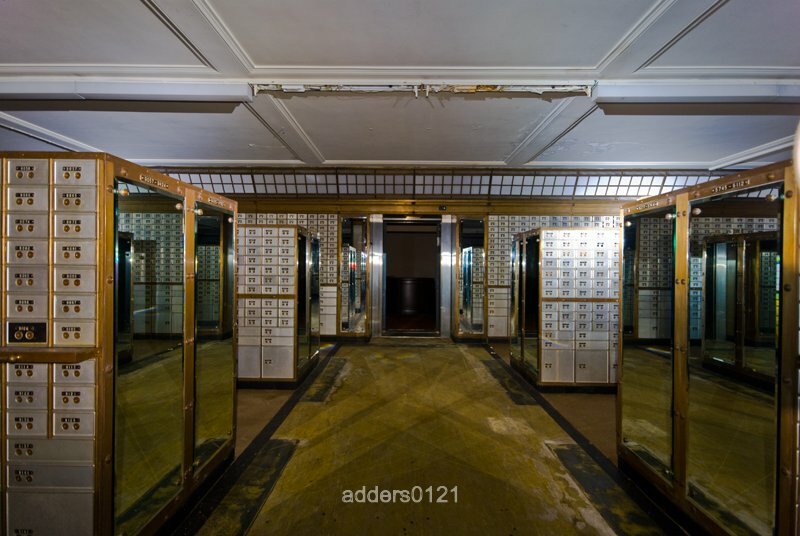 There's mirrors at the end of each aisle, presumably so you can check yo' bad gobsmacked self out. And I did. The Safe Deposit Custodian (Eric Hannan) is shown examining one of the blocks of individual safes. 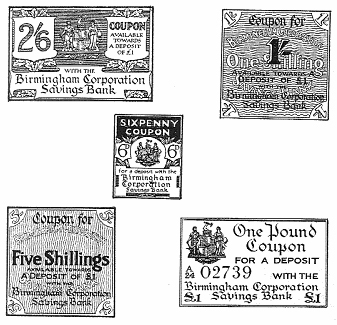 Initially, one shilling coupons were used as a savings method. The employee stated how much he wanted to save and the employer bought the coupons from his bank. The employee then received the coupon with his cash in his wage packet. 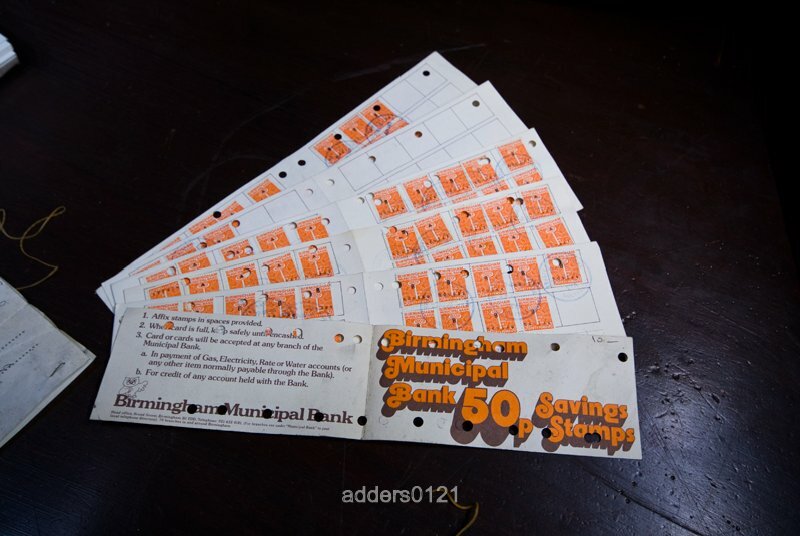 Twenty gummed coupons were stuck on a card, which was then taken to the Municipal Bank and exchanged for a Â£1 entry in a passbook. 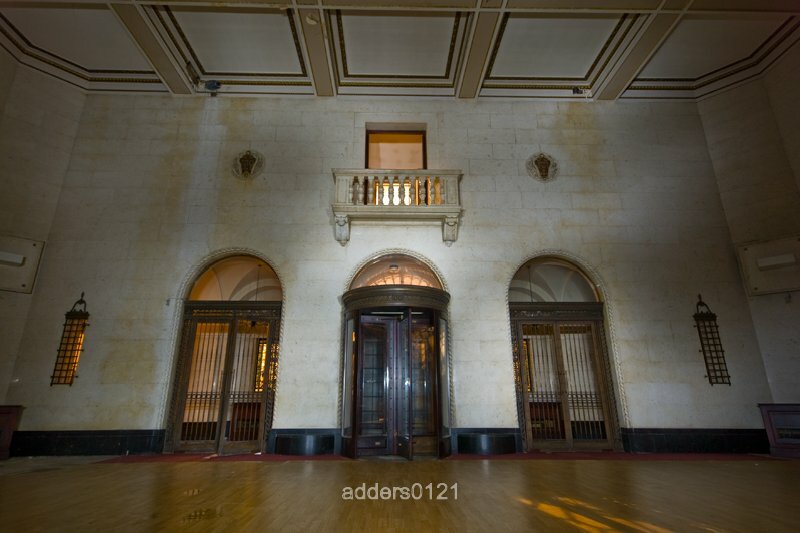 The balcony on the Northern wall of the Banking Hall. 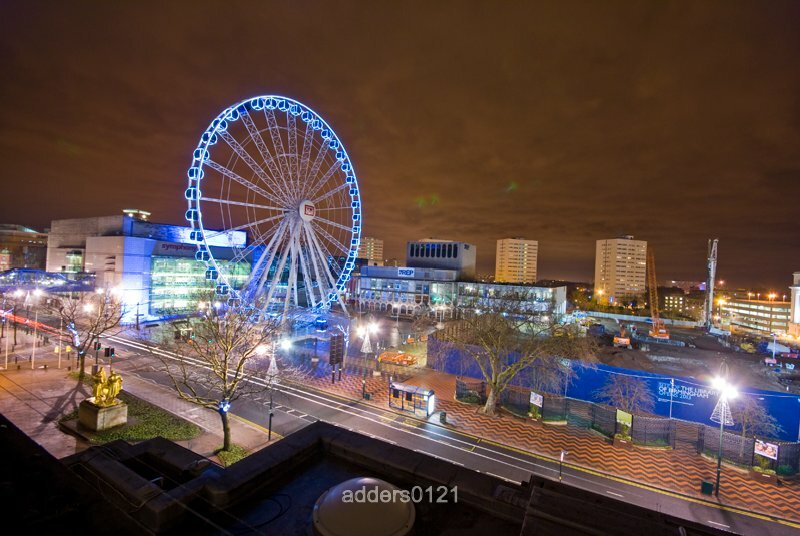 And finally a view from the roof over Centenary Square. 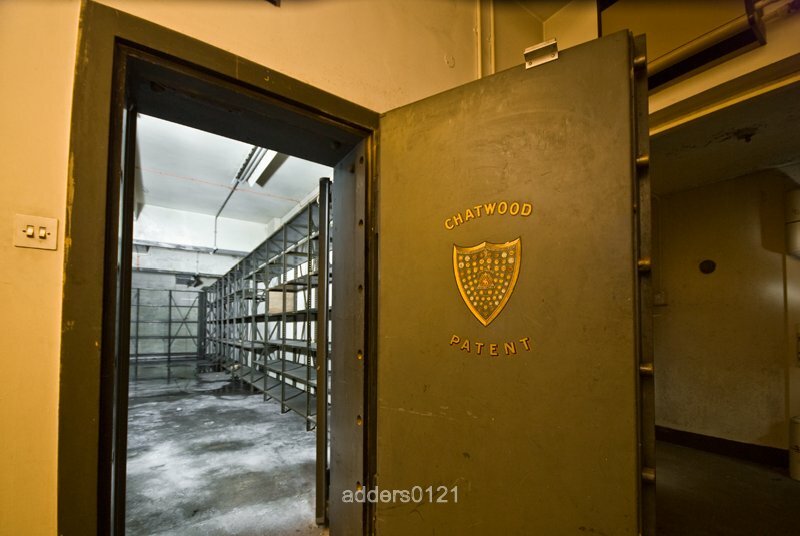 A couple of must read websites detailing the history of the Bank alot deeper than I have. Especially the first one. 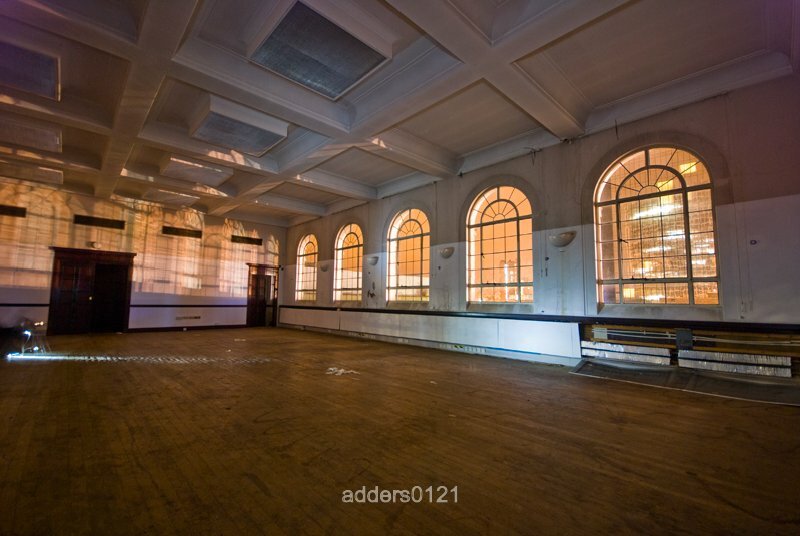 The building is currently Grade II listed, and owned by Birmingham City Council. to our unexpected entourage whilst in the Banking hall. Ninjorz.